DriveMyCar is an online community connecting car owners looking to earn extra money by renting out their car to drivers who are no longer prepared to pay high car rental costs and want more choice. The best way to see Sydney and its surrounds is to try car rental in Sydney and explore the city's many different and exciting options. Car rental is the fastest way to experience chilled and quirky suburbs like Potts Point and Newtown as well as a range of coastal beach towns from Bondi and Manly through to Coogee and Clovelly. If you fancy a slightly longer drive, you can always drive an hour north to the beautiful Palm Beach and the Northern Beaches. The Blue Mountains with its natural wonders and the famed Three Sisters are also a short drive from Sydney. Similarly, the Hunter Valley wine region, home to famous commercial and boutique winemakers is about a two hour drive from Sydney. Looking for cheap Sydney car rental? Look no further. We’re not like your traditional Sydney car rental company – we do things differently. We’re a peer-to-peer car rental service that connects renters with top corporate fleets and private owners, which means we give you better options and better cars, for less. As we operate entirely online we can pass any savings onto you. This means you’ll get an exceptional private hire car in Sydney without breaking the bank. In fact, compared to other options on the market, Sydney car rental through DriveMyCar is between 20 and 50 per cent cheaper when it comes to medium and long-term car rentals. Fancy yourself behind the wheel of a luxury car? It’s entirely possible and at a fraction of the price that you’d be paying anywhere else. 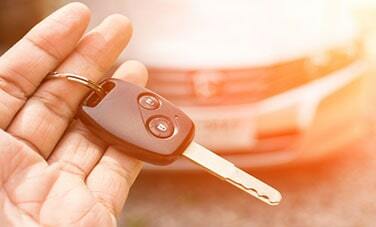 With DriveMyCar Sydney car rental, there are over 40 makes and models on offer for renters. From family sedans through to SUVs and luxury models, there’s plenty to choose from. And because we’re cheaper, you can afford to upgrade to a luxury model and don’t have to settle for renting just any kind of car. Drivers looking for cheap hire cars in Sydney city and surrounding suburbs from Bondi to Parramatta will get to choose from a large variety of rentals across 30 different car brands, including Audi, BMW, Holden, Porsche and more, all at a fraction of the cost compared to traditional Sydney car rental companies. There is also a wide range of car styles from family sedans to sports cars on offer. Why use DriveMyCar for Sydney Car Rental?